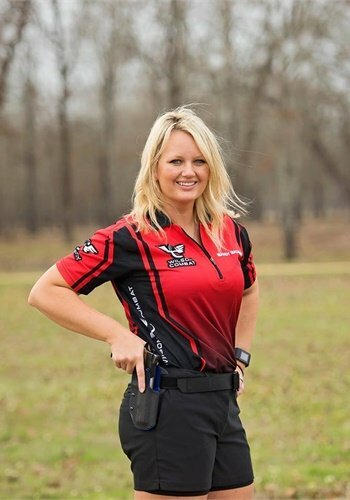 Propper International has announced that competitive shooter Mandy Bachman is the company's new female Brand Ambassador. A decorated member of the Wilson Combat Shooting Team, Bachman competes in IDPA and other competitive shooting matches throughout the country and instructs defensive handgun classes. A rising star in competitive shooting, Bachman started shooting in 2015 and quickly jumped through the ranks to reach Expert status in her first year. In 2017, just two years after beginning her shooting career, she became the 17th female to make Master Class in IDPA. This fall, she took 3rd place in the Women’s Division at IDPA Nationals. "As a competitive shooter I want products that I trust and believe in," Bachman said. "I have found exactly that in Propper. I am so excited for this opportunity and am proud to be a part of the Propper brand." In addition to her very full competition schedule, Bachman teaches defensive handgun classes with Wilson Combat founder Bill Wilson and works full-time for IDPA. John Negrau, VP of Marketing & E-Commerce, said, "The drive and enthusiasm Mandy brings to Propper is contagious. We couldn’t be more excited to have her join the team and support her competitive shooting career and educational work." For more information about Propper, visit www.propper.com.